The Sierra Nevada Mountains are California’s backbone and the Eastern Sierra Scenic Byway which runs east of the Sierra Nevada range is one of California’s most spectacular drives. From Inyo-Kern County to Lake Tahoe you will have endless views of majestic, snow-capped peaks towering outside your vehicle window. This is where you can see (or hike) Mt Whitney, America’s highest peak in the lower 48 and also visit North America’s lowest point at Badwater Basin in the same day. 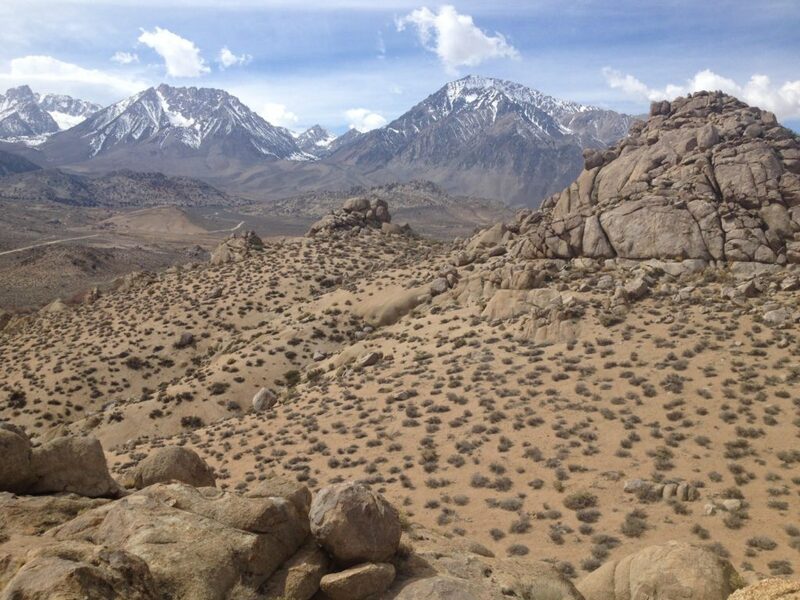 The area boasts endless outdoor opportunities for hikers, fisherman, rock-climbers, skiers and snowboarders along with historical attractions that include ghost towns, classic western film locations, and the Manzanar National Historic Site. I would say this road trip beats Highway 1 for most scenic! 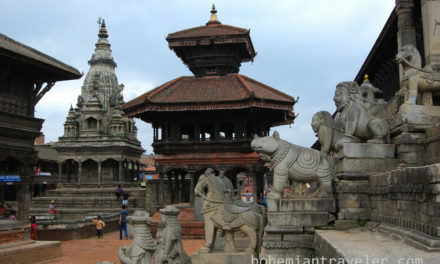 See some of this driving itineraries highlights below. Death Valley National Park is America’s largest national park. Yes, this national park is larger than Yellowstone! Even though a trip to the desert does not sound appealing to most, I assure you will be blown away by how incredibly beautiful this vast landscape is. 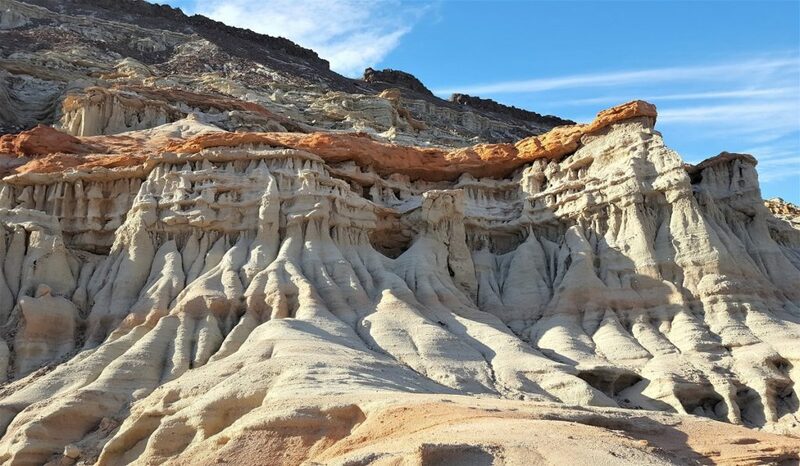 From the colorful painted rocks of Artists Pallete to the smooth and polished marble of Mosaic Canyon to gorgeous wildflower blooms in the spring; this place will change your view on desert landscapes. Red Rock Canyon State Park is located at the southern-most tip of the Sierra Nevada mountain range and features stunning desert cliffs and spectacular rock formations. The rock formations are dramatic and the colors vivid, you really need to literally ‘take a hike’ to fully appreciate it all. 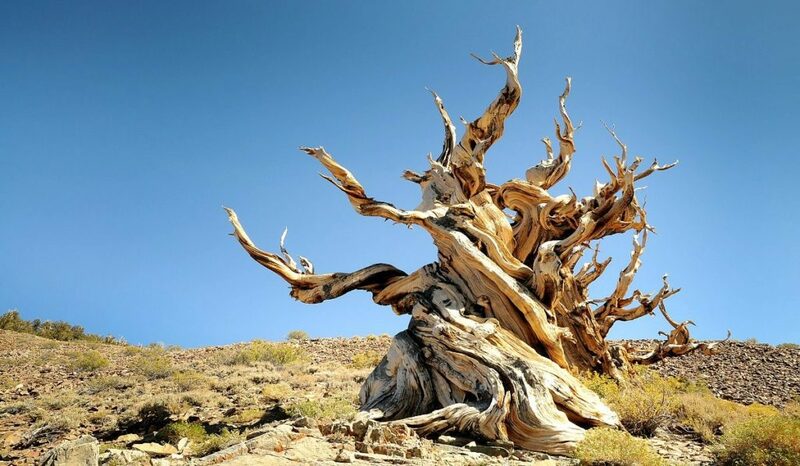 The Ancient Bristlecone Pine Forest is home to the world’s oldest living trees. Some of these gnarled and twisted trees are over 4,700 years old making them the oldest living things on the planet! To put that in perspective, these trees started their life out back when stone axes were still being used in Europe. The White Mountains (where you will find the Bristlecone Pine Forest) themselves are pretty spectacular as they are over 14,000 feet in elevation but are not as well-known as other mountain ranges of the same height in America. Buttermilk Country is an awe-inspiring place; towering boulders in the foreground with the magnificent jagged peaks of the Sierra’s as a backdrop. Even if you aren’t into rock climbing or bouldering the area is still worth visiting because the Buttermilks offer some of the most majestic views of the eastern Sierras. Mono Lake is a beautiful ancient lake that reflects the snow-capped peaks of the Eastern Sierra’s in its perfectly still waters. 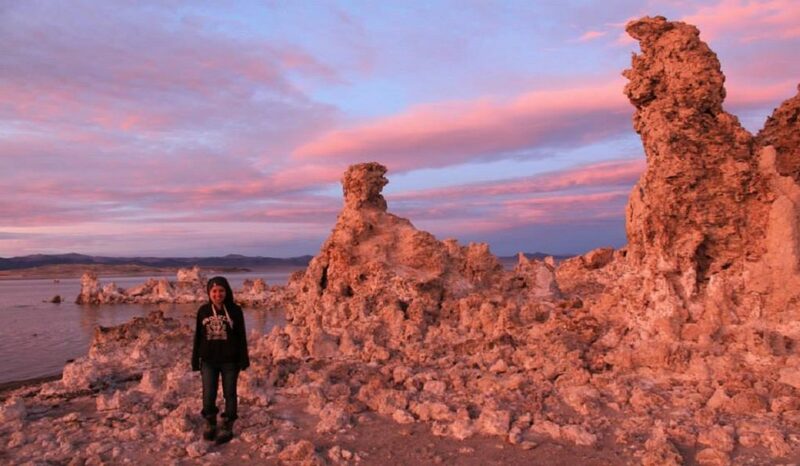 The most unusual feature of Mono Lake is its dramatic tufa towers which form when underwater springs rich in calcium mix with the waters of the lake that are rich in carbonates. Over time the buildup of limestone formed towers and when the water level of the lake dropped the towers became exposed. This is definitely one of America’s most unusual natural attractions and one of the most stunning. Bodie is a gold-mining ghost town where visitors can walk down the deserted streets of a town that once had a population of nearly 10,000 people. 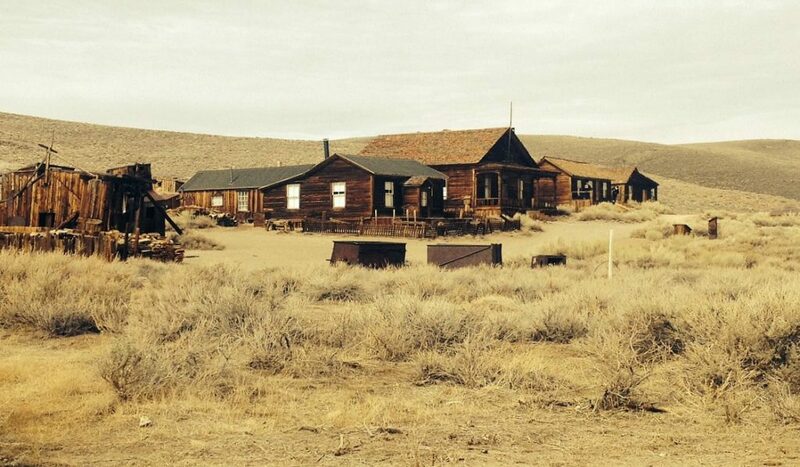 Bodie had a bad reputation and it is reported that at one point there were 65 saloons in town. Today, the California State Parks System maintains the 100 or so structures that remain in a state of arrested decay. 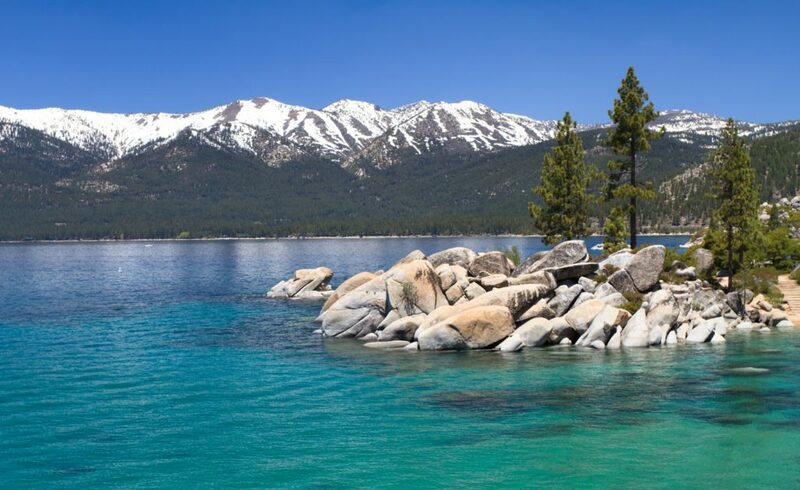 Lake Tahoe is famous for its cobalt-blue waters and is America’s second deepest lake. 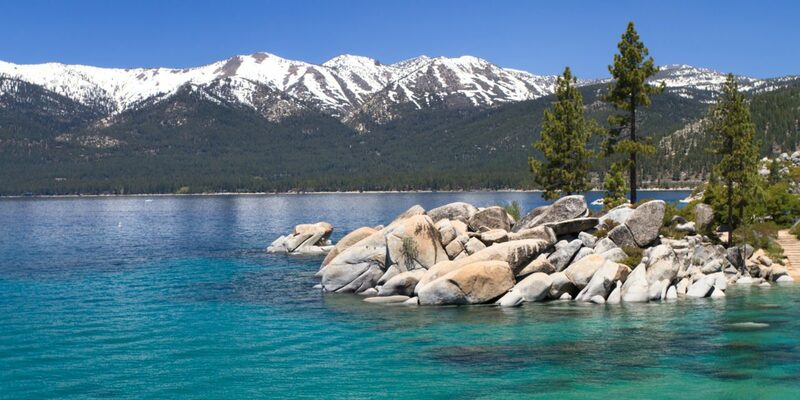 Tahoe is a major year round tourist destination where outdoor activities are plentiful; you can ski, go boating, fish, canoe, paddleboard or hike to name a few. To see a complete driving itinerary for Highway 395 with driving distances and times see the Eastern Sierra Road Trip Itinerary. Great article! 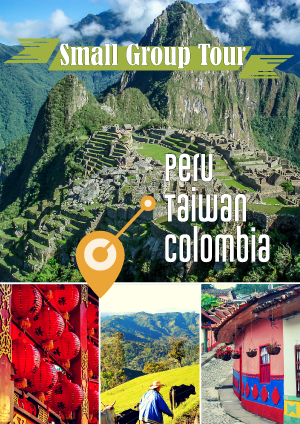 One of my favorite road trips, but still a couple places I haven’t explored yet. 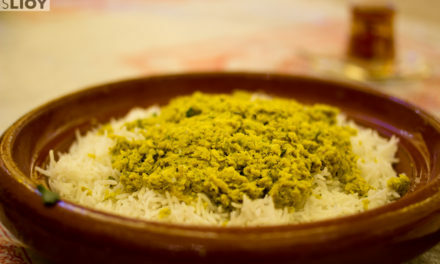 Will save this for my next time in the area!